Most of us know the feeling — you’re desperate for sleep, wide awake in the middle of the night, unable to calm your thoughts and your body. In this post, let’s look at some solutions. Today’s extremely competitive work environments and on-demand mobile communication have made carrying your work with you anywhere a ‘natural’ thing to do. And they’ve also stolen from many of us a good night’s sleep. Insomnia causes fatigue and reduces levels of the hormone melatonin, leading to risks more serious than just professional under-performance. The National Highway Traffic Safety Administration in the US reports that about 48% of drowsy drivers nod off behind the wheel between 9pm and 6am: indeed, fatigue is believed to cause over 1,500 deaths on US roads every year. It has also been proven that a decrease in sleeping hours is associated with negative effects on health and higher mortality. A wide range of sleep aids, which can be found in any pharmacy, might not always be effective. In addition, some of the drugs have unpleasant side-effects, including risk of addiction. So, why not try some simple self-help tips? 1) A quiet and relaxing bedtime routine is one of the key aids for a deep healthy sleep. Do a few gentle yoga exercises to relax any tight muscles, drink a cup of herbal non-caffeinated tea and take a warm bath or shower. These will help to quiet your body and mind. 2) Avoid the light of TV screens, mobile devices and energy-efficient lightbulbs for two to three hours before going to bed. Though any kind of light can stop you from feeling sleepy, a blue and white light especially influences your ability to fall into a deep sleep. If you absolutely have to check your phone before going to sleep, make sure you turn down the brightness level and hold it at least 30 centimetres away from your eyes. 3) If you wake up in the middle of the night, try to evaluate if you feel comfortable enough. Ensure that the air in your bedroom is neither too hot nor too cold, that your pillow feels comfy and you feel secure. If you have suddenly remembered an errand or a task you can’t forget for the next day, simply make a note of it (for regular occurrences it’s a good idea to keep a notebook beside your bed) and try to go back to sleep. 4) However, if you are lying awake for more than twenty minutes, most sleep scientists recommend getting out of bed and doing some form of non-stimulating activity. Remember to still avoid bright blue and white light and a TV screen. Some scientists suggest that tiring your brain a bit might help you to fall asleep — try solving a word game or some moderately difficult logical exercises. 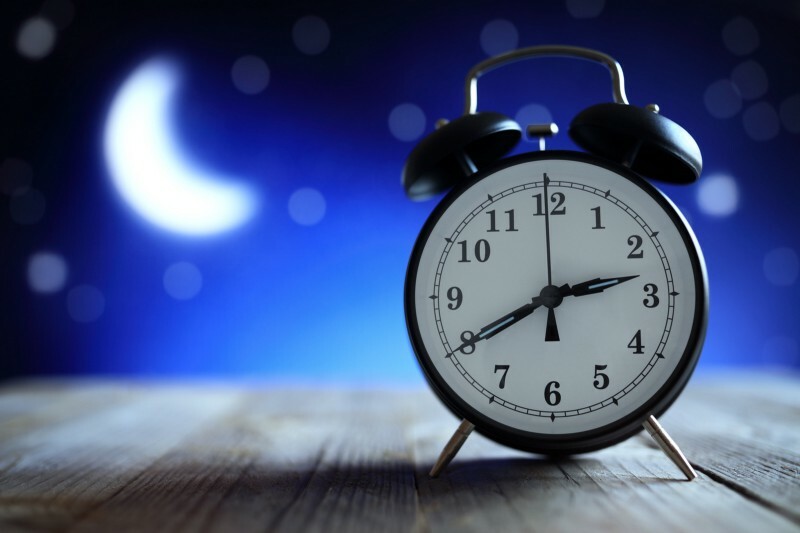 If your sleep problems persist, do not ignore them: talk to your doctor! In some cases, insomnia may be caused by a medical condition such as sleep apnoea, restless legs syndrome, chronic pain or depression. Treatment of these may be necessary for insomnia to go away.